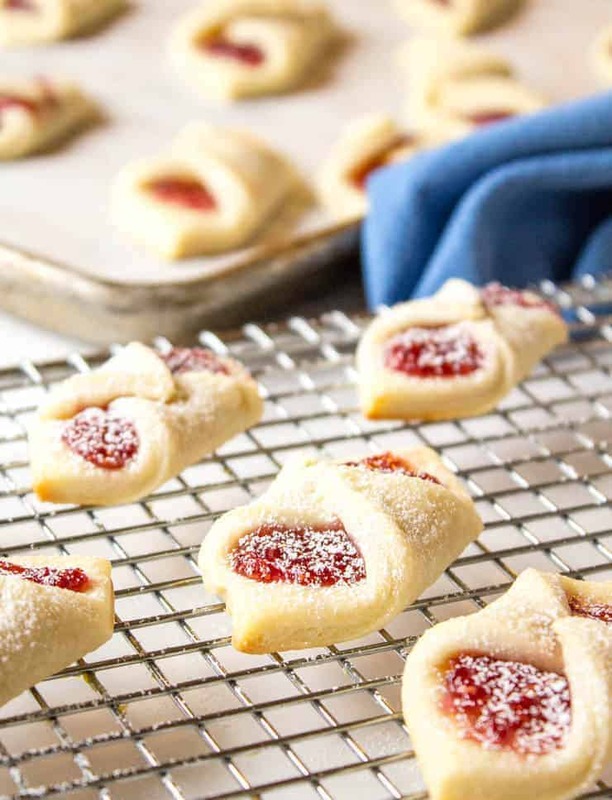 Raspberry Bow Tie Cookies are a festive cookie to add to your holiday cookie tray. Thanksgiving is over and the Christmas season has begun! I spent the day after Thanksgiving relaxing and baking. I just can’t get out to the stores to fight the crowds. No sale is worth that amount of craziness for me. I would much rather be in my kitchen baking! 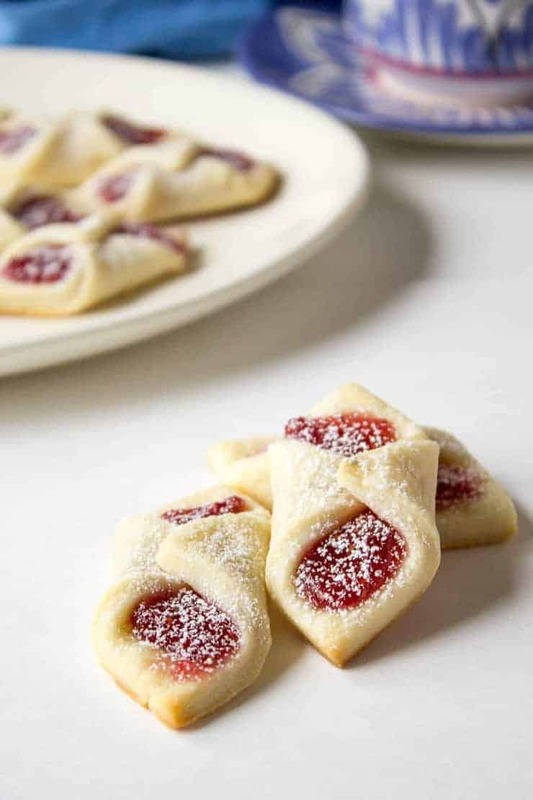 These raspberry bow tie cookies are my kick off to the holiday season! I started out the day reading old cooking magazines. I have a huge collection and browse through them from time to time. 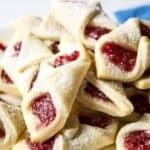 I found a recipe for Bow Tie Cookies made with apricot jam. I decided to use raspberry jam instead of apricot jam. I also changed the dough up just a bit. The original recipe did not have any sugar or vanilla. I wanted a cookie that would melt in your mouth and decided to add powdered sugar to the dough. These cookies are amazing! Don’t take my word for it though…get baking and try them yourself!!! The hardest part about making Raspberry Bow Tie Cookies is you have to chill the dough before rolling it out. This requires just a bit of planning. Sometimes when I’m making cookies, I want to get it all done in one sitting. If you tried to roll this dough out right away, you’d have a sticky mess. I made these in the morning, threw them in the fridge and finished them in the afternoon. 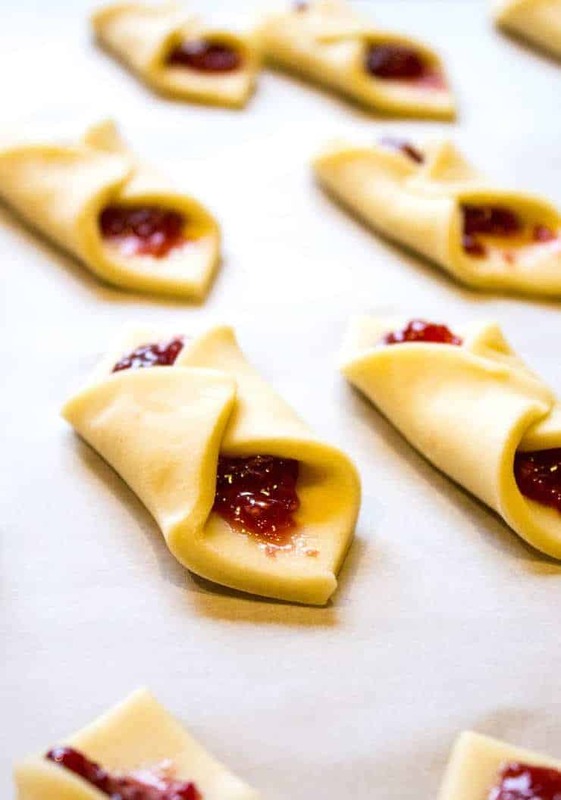 Raspberry bow tie cookies are as fun to make as they are to eat! They also make an impressive gift during the holidays! Get Baking!!! 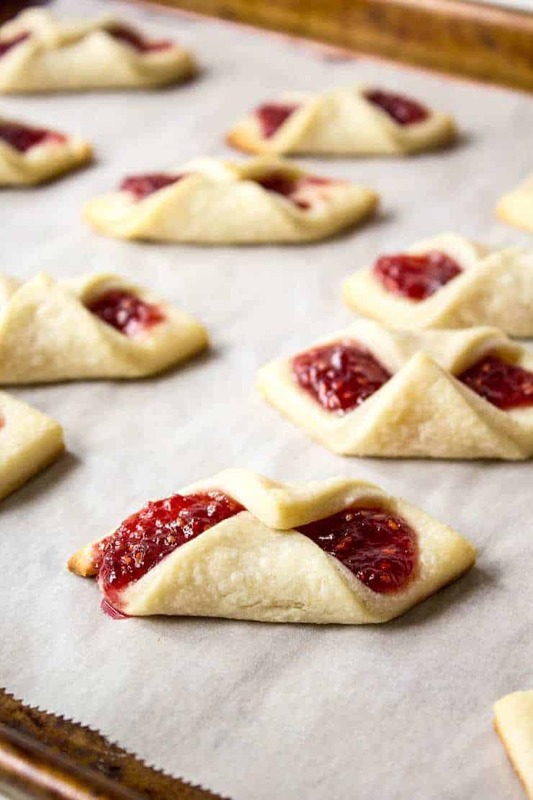 These delicious cookies go by many different names – bow tie cookies, kolache cookies, kolacky cookies, Polish cream cheese cookies, and jam cookies. Update: Several readers have emailed stating their cookies open up during baking. Several others have not had any problems. I have remade these cookies and tried several different folding methods. I have the most success using an egg white wash.
Holiday cookies with raspberry jam. 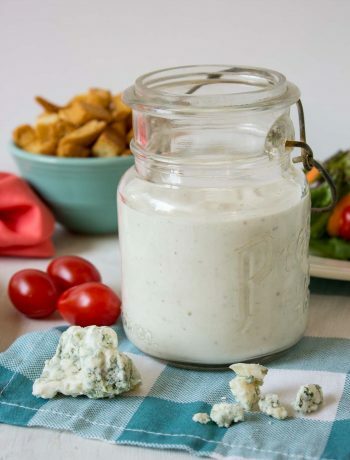 In a mixing bowl, mix cream cheese and butter together. Mix in flour. Beat until all flour is incorporated into dough. Divide dough in half. Wrap each half in plastic wrap, flattening into a 4 inch disc. When ready to bake, work with one disc of dough at a time. Place on a lightly floured surface and roll into a rectangular shape until dough is approx. 1/8" thick. Trim edges and cut into 2 inch squares. Place 1/2 teaspoon of jam on each square. 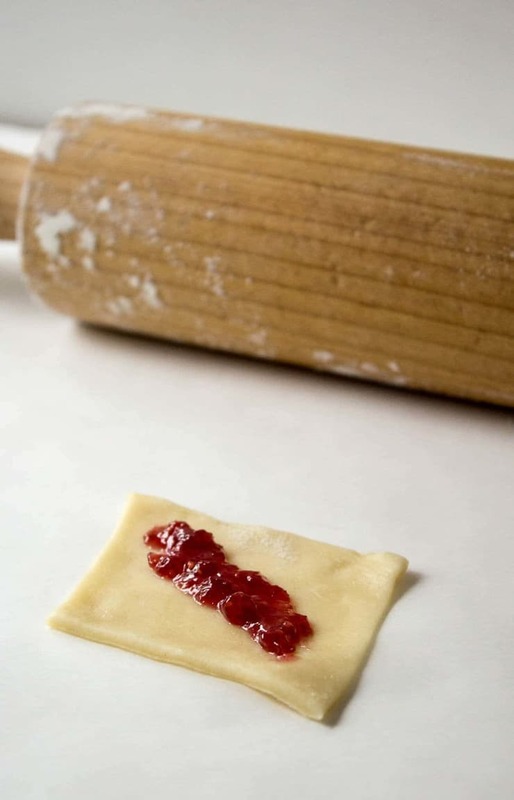 Spread jam on dough. 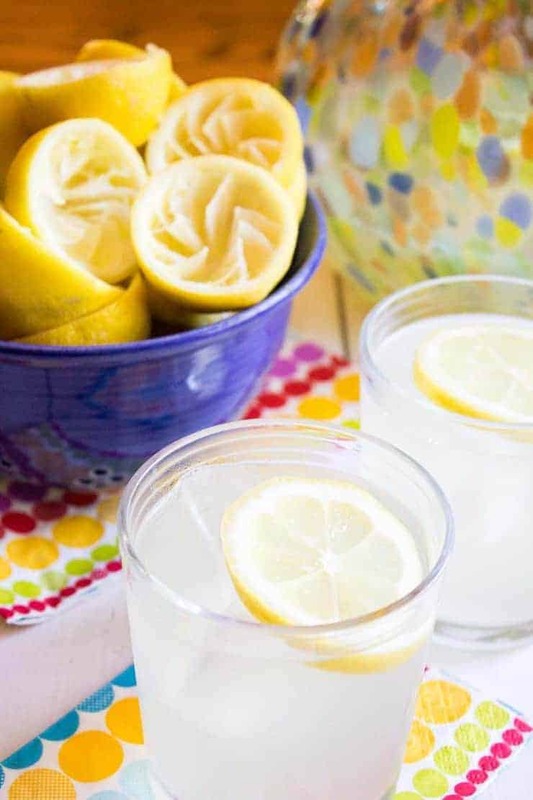 Mix egg white together with water. Fold two corners together over your index finger. Place a dab of egg white mixture between overlapping corners of cookies. Press firmly together so the dough is fused. Place on a baking sheet lined with parchment paper. Press folded sides down slightly so they are not rounded. This will help prevent cookies from coming apart while baking. Bake for 10 minutes in a preheated 400 degree oven. Cool on a baking rack. Sprinkle with powdered sugar when completely cooled. Could you use homemade raspberry jelly instead of raspberry jam? I think you could use raspberry jelly instead of jam. Oh, I wanted to love this cookie. Dough was perfect, but my cookies opened during the baking process….I plan to use the second half of dough to make sandwich cookies and add the jam after baking. Anyway, I still give this 4 stars for the great dough. Happy holidays. Did you use the egg wash to hold the cookies together? I also give a little firm push towards the center. I like the idea of making the sandwich cookies! Oh no! I’m not certain why they opened up, especially if you pinched them together in the center. I’m so sorry they have given you difficulty. I brushed mine with an egg wash. Try that to help you with the opening up, it acts like a glue. Great idea! Thanks for letting me know what worked for you! I am going to try these today and freeze them. I’ll report back on how the freeze – defrost worked out. Great! I can’t wait to hear if they are freezer friendly! I made the dough yesterday and baked them today. They were super easy and delicious. I loved how these cookies looked in the picture, I just couldn’t make mine turn out like this. My bowties kept wanting to open???? I tried many different approaches, but only had a few out of the whole batch look right. Any recommendations because I LOVED the flavor, just not how they looked. I’m sorry these cookies gave you difficulty. Make certain the squares are not cut too small or filled too full. You want enough room for the dough to fold over. When folding, fold one corner over, add add a drop of water to help glue the two corners together and then pinch the two ends together. I stumbled onto your website looking for broccoli casserole, and noticed these cookies. I know them quite well. I ate them probably every Christmas of my childhood. They go by many names, but I’ve never heard them called bow ties before! (I know them as kolachky.) I’ll bet they’re delicious with a bit of sugar in the dough, but try them sometime without the sugar. They’re very good that way. Raspberry jam is a fantastic choice for the filling. Hi Jeff! You are correct, the original name is kolachky. There are so many wonderful versions of this cookie! I love the raspberry, but I think apricot would be wonderful too! So far, I have received countless of compliments. I plan on making 3 more batches before Christmas. Wish me luck! Can I use cake flour. I had a recipe for raspberry thumbprints I used to love but I have lost it so I wanted to try yours. I love the lightness of the cake flour. Think it will substitute ok? Hi Apryl, You could try substituting cake flour for the all purpose flour. You will want to increase the amount of flour by 1/4 cup. Let me know how it turns out. I haven’t tried freezing them so I don’t know how they would turn out. These look delicious. 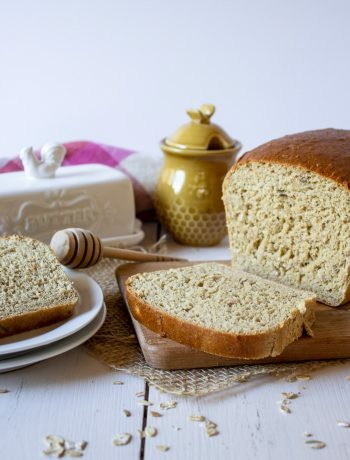 Do you use all purpose or self rising flour? There’s nothing wrong with making extra cookies! You will be everyone’s hero! Yum – these are so cute and delicious. I will be making these soon! Thanks, Kathy! They add a lot of color to a plate full of cookies! Kathy these are almost like pie cookies!! I want to make them. I love these for my Christmas cookie tray that I will be bringing to my moms this year. I’m on the hunt now for a few new ones to try. Maybe I’ll do your sugar cookies with the peppermint too!!!! They are both great cookies! Let me know if you give them a try! They look absolutely gorgeous – love how you perfected the original recipe! The raspberry jam gives it a wonderful colour too! Have a great weekend! haha oh gosh me too – I baked and shopped online sales!! These cookies are so darn pretty! And they sound delicious too! These raspberry bowties are so cute Kathy! I didn’t do any Black Friday shopping either, except for a little online. (I don’t care for crowds!) What a great cookie to kick off the holiday baking! Hope all is well, have a great week! Thanks Allie! The holiday season is officially in full gear and that includes lots of baking! Enjoy!!! Lovely and classic. You made them so prettily!! Festive and bright. Wow, there is something simple yet luxurious about this cookie! Definitely a must try! Take care. What a classic Christmas cookie…and perfect for the holiday cookie season! I think I need to whip up a batch of these ASAP. I love raspberry jam, so I can pretty much be certain that these cookies will be a huge hit in our house. Good call on the powdered sugar there! Hi Kathy, I had already left my comment, as soon as I saw them, but don’t see it here… Well, that means I have to do it again 😉 . Love these cookies, we have something like that in Italy too and they’re sooo good! I agree in adding powdered sugar, makes for a crumbly, melt-in-your-mouth cookie. Pinned them! I’m with you on the shopping, Kathy. There is no sale worth all that! I would much rather read cooking magazines and eat these beautiful cookies! I totally agree, no sale is worth all that craziness.. that’s why I just shop online. 😉 Love these cookies, Kathy!!! Absolutely perfect for the holidays and they are gorgeous to boot!! Cheers, friend! Wow these look so festive, I would take 2 please! 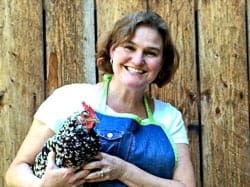 Wow, you’re brave to want to cook again the day after Thanksgiving! I was exhausted after baking several pies on the day. I was interested to see cream cheese in the ingredient list. I’m afraid I’ll have to wait a week or so to try these cookies since I gained a few pounds recently. Well done! Overall it was a day of relaxation. I am amazed that I was able to eat again after a huge Thanksgiving dinner! I love these cookies Kathy! 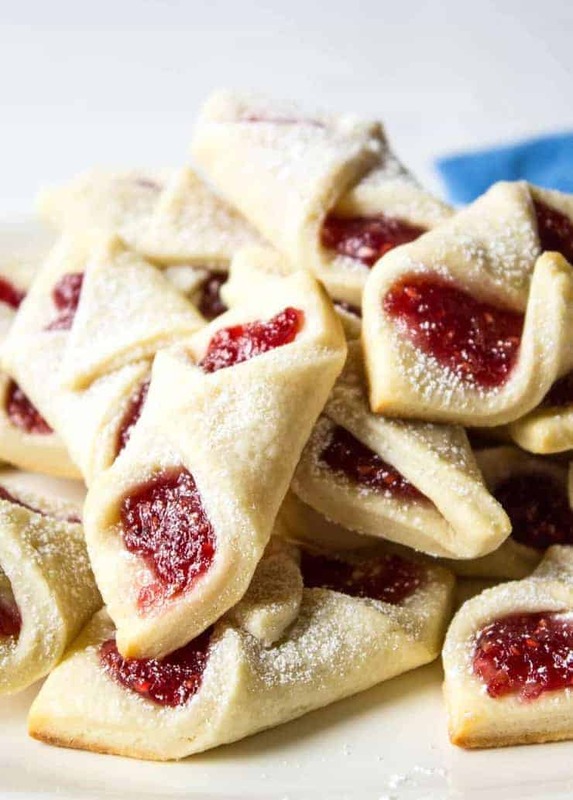 They remind me of a Hungarian cookie I make every holiday season called kifli. 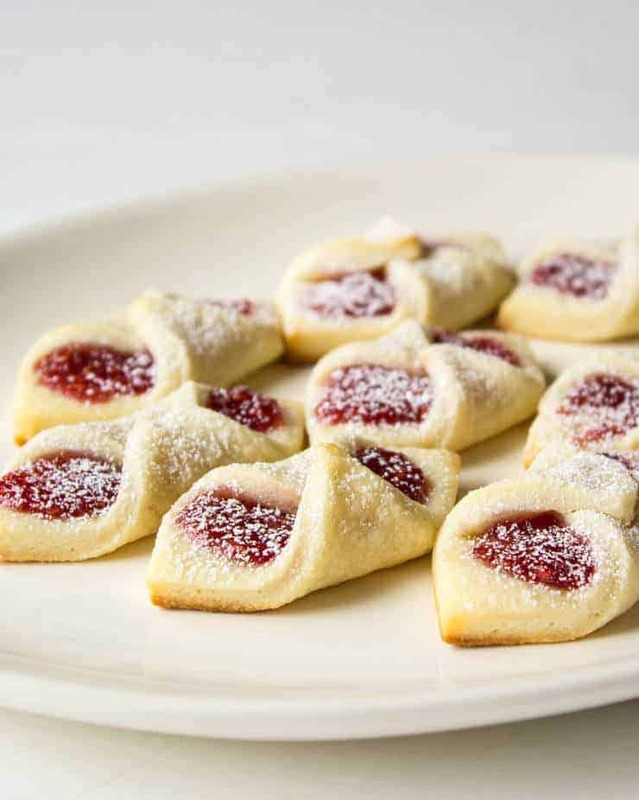 Kifli is filled with a walnut mixture, but sometimes they’re filled with raspberry or apricot jam too! I bet these were a total hit at your house. I’d rather be baking cookies at home than fighting the crowds in stores too. Great kick off to the holiday cookie season!